The big picture: Many populations of orcas may disappear entirely during the next 100 years, due to polychlorinated biphenyls, or PCBs, building up in their tissue. That contamination may cause multiple killer whale populations to crash in the coming decades, which would have a ripple effect throughout the food chain. The international team of researchers examined available data on PCB concentrations in about 350 killer whales worldwide and compared them to levels known to affect reproduction and immune system functionality. They incorporated this information into a population model to forecast the predicted effects of PCBs on population growth for the next century. More than half of the 19 studied populations of killer whales have "achievable growth rates" that are low enough to cause them to decline, potentially inexorably. Brazilian, Northeast Pacific Bigg's, Canary Islands, Greenlandic, Hawaiian, Japanese, Strait of Gibraltar and U.K. orca populations are all "at high risk of collapse over the next 100 years," the study states. "It’s true that modeling is a tool to assess the impact of PCBs, but we acknowledge that all models have some degree of uncertainty. 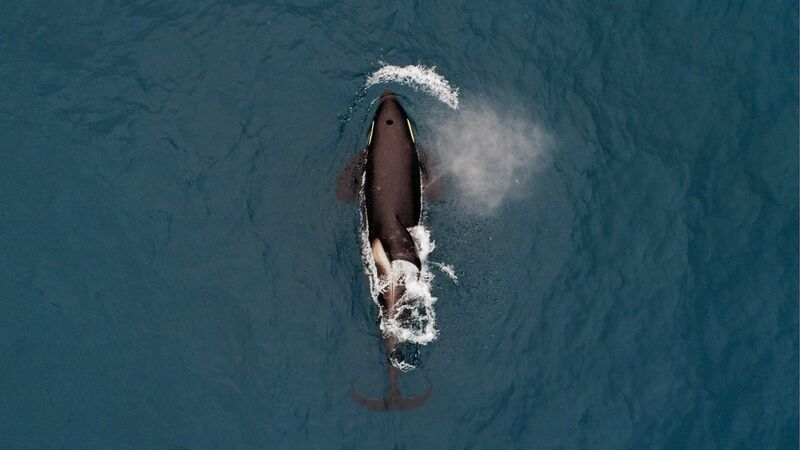 That said, PCBs as chemicals do lend themselves very well to this type of modeling, because they behave in very predictable ways in killer whale populations." “I would agree with their findings that these high-risk populations very likely are going through a decline associated with elevated PCBs,” said Brendan Hickie, a senior lecturer at Trent University's School of the Environment who was not involved in the study. The bottom line: This study has implications for conservation efforts, as few populations of killer whales have legal protections, and these are not specific to PCBs. "I think very few countries globally are doing very much at all to mitigate the risk of PCBs to killer whales," Jepson said. Last season's flu epidemic is now estimated to have killed 80,000 Americans — the highest level for at least 4 decades — and caused the death of 180 children, Eileen Drage O'Reilly writes. Many of these deaths could have been prevented with flu vaccinations, public health officials said Thursday. They made these announcements as they kicked off their #FightFlu vaccination campaign. Why it matters: According to U.S. Surgeon General Jerome Adams, even when the vaccine's effectiveness is not as high as hoped, as happened last season, the shots or FluMist can still boost the immune system enough to limit how hard the virus hits as well as minimizing its spread. Children aged 6 months to 17 years old: Vaccinations among this group dropped to 57.9%. "The decline in coverage in this age group is very, very worrisome," Adams said. 80% of the 180 children who died from the flu last season in 2017–2018 weren't vaccinated. Pregnant women: Vaccinations among this group fell to 49.1% and affect the ability of newborns to fight the flu as well. Health care workers: Vaccinations among this group slipped to 78.4%, particularly in long-term care workers. The big picture: The Centers for Disease Control and Prevention recommends anyone 6 months and older receive the flu shot or FluMist before the last week of October, since it takes 2 weeks for antibodies to generate, said Daniel Jernigan, head of the CDC’s influenza division. Jernigan said the number of estimated deaths from the 2017–2018 season increased after the CDC searched thoroughly through hospital data. “Last year was just a horrible season,” he said, and added that the flu mimicked what happened in Australia. What's new: FluMist nasal vaccine has been determined effective and will be offered to those who meet its requirements. The full vaccine details are here. The Southern Ocean is the main heat and greenhouse gas sink on the planet, and without it, global warming would be a lot worse. It's also one of the least-observed and understood parts of the global ocean, due largely to its remoteness and competing influences there, from Antarctic sea ice to changing weather patterns. The context: We've long known that on the ocean surface, parts of the Southern Ocean have been cooling over time, while deeper waters have been warming and freshening. But why these disparate trends have occurred has eluded scientists. A new study, published this week in the journal Nature Geoscience, put together the most comprehensive set of Southern Ocean observations available from 1950 to 2014. They then used a "detection and attribution" approach using computer modeling to determine what factors best align with observed changes. What they found: A combination of increasing amounts of greenhouse gases in the atmosphere and the gradual healing of the human-caused ozone hole over Antarctica are the main two drivers of change here, with greenhouse gases playing the dominant role. This suggests that as we emit more greenhouse gases, deep ocean warming and freshening will continue, potentially altering regional or even global ocean circulation. The Southern Ocean is the region where deep water interacts with the atmosphere, acting as a "kind of a gateway between the atmosphere and the ocean,” study lead author Neil Swart of the Canadian Center for Climate Modeling and Analysis, told Axios. "We want to understand this system, because we'd like to know how much heat and carbon dioxide it will continue to absorb, and what might make it stop taking up heat and carbon dioxide." In an accompanying news and views piece, Nathaniel Bindoff, who was not involved in the study, says it's the first to apply a rigorous approach to estimate the relative importance of each factor causing Southern Ocean changes. Ebola progress threatened: An escalation of violence in the Democratic Republic of the Congo jeopardizes the recent gains made in halting the ongoing Ebola outbreak there, World Health Organization officials warn, Eileen writes. Global autism map: New findings from the Global Burden of Disease Study show that the highest autism rates are seen in the Middle East, Central Asia and North Africa, regions with limited resources, Peter Hotez writes in Axios Expert Voices. Jaw-dropping storm: European astronaut Alexander Gerst took a series of photos of then-Super Typhoon Trami that are unlike any storm photos you've ever seen. He described it as seeing "the planet's gigantic plug" just after it's been pulled. Paralysis breakthrough: A paralyzed man was able to take voluntary steps with a walker and on a treadmill via a combination of focused thinking, spinal cord stimulation with programmed electrodes and rehabilitation therapy, Eileen writes. Asteroid mission: Japan's space agency (JAXA) successfully landed two robotic rovers on the asteroid 162173 Ryugu on Sept. 21, marking the first human-made robots to land and move autonomously on an asteroid surface. Earth's liposuction: Carbon removal technologies are getting a boost of support as more researchers and policymakers recognize it's essential to controlling climate change, Amy Harder writes. Secret map: Using lidar mapping technology, researchers unearthed hidden pyramids and fortresses amongst 61,000 ancient Mayan structures that lay underneath a rich tropical forest in Guatemala, Nicholas St. Fleur writes for the New York Times. Can't breathe: An estimated 7 million people per year die from polluted air, mainly due to vehicle emissions and traditional cooking methods, according to a new WHO analysis. Monica Serrano and Sean McNaughton have the story for National Geographic. Wansink saga: In The Atlantic, James Hamblin delves into the fall of Cornell University's Brian Wansink, which he says has led to a "credibility crisis in food sciences." Hummingbirds hover more efficiently over flowers they're feeding on compared to nectar bats, according to a new study published this week in Science Advances. The big picture: Researchers traveled to Las Cruces Biological Station in Coto Brus, Costa Rica, to study these creatures in action, utilizing equipment to measure the aerodynamic forces generated as well as a 3-dimensional high-speed camera rig. This allowed them to measure and compare the flight characteristics of hummingbirds and nectar bats. These two species are the largest that can hover while also foraging for food. What they found: The study found that bats, with their larger wings, support more of their weight in the downstroke. Hummingbirds, on the other hand, have a more even balance between the strength of their upstroke and downstroke, giving them more aerodynamic efficiency. In the end, both groups — hummingbird species and the nectar bats studied — produced similar mass-specific power through flight, despite their differences when it comes to efficiency. The researchers use their findings to shed light on the evolutionary history of bats compared to hummingbirds. They put forward the view that the differences in their ability to generate aerodynamic force during the upstroke "probably" stem from specific adaptations made over time. What's next: Interestingly, the authors suggest that if the analysis they performed could be "automated and expanded" to sample across the approximately 1,200 bat and about 10,000 bird species, then they might be able to show "how hovering flight evolved across ecosystems in the world more generally." They could also inform the design of flapping robots under development, such as the Nano Hummingbird and Bat Bot. Thanks for reading! Have a great week, and see you again next Thursday.